In June of 2019, we will be returning to England to read Jane Eyre, Charlotte Brontë's masterpiece, as a sacred text while engaging in one of the most ancient of traditions: a walking pilgrimage. 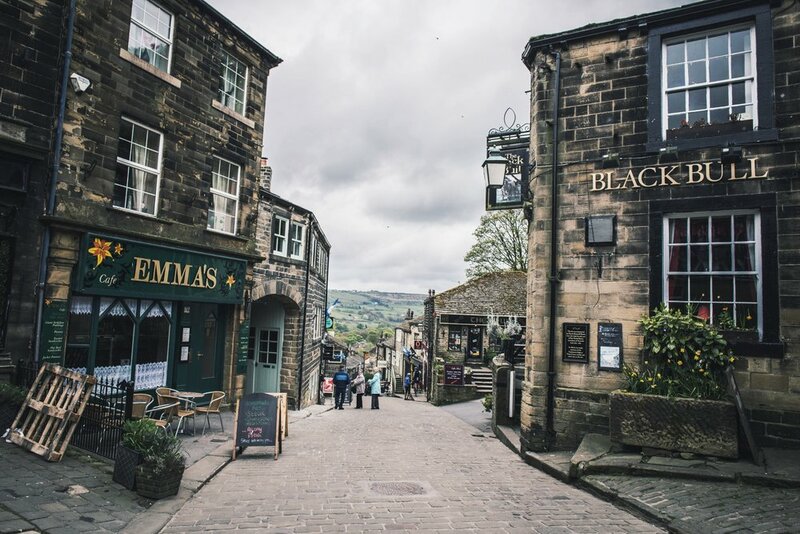 We will go to the Brontë parsonage museum, to the village schoolroom where Charlotte taught, to locations that are said to have inspired sites from the novel such as Ferndean Manor, and wander in the West Yorkshire Moors the way that the Brontë sisters did. We will spend these days asking ourselves one key question: what is the home that you are looking for? We will ask this question of ourselves, of each other and of Jane Eyre. Each day will include some opening words from Vanessa Zoltan, co-host of Harry Potter and the Sacred Text, and local experts about Jane Eyre and Charlotte Brontë. It will also include a substantial walk through the moors with sacred reading and reflection practices. We will share our meals together, and most days will include either a museum visit or a visit from an local expert. We will have time and space for writing, reflection, reading, silence, ancient reading practices like lectio divina and PaRDes and of course, for walking. The rest of the payment will be due on March 15th 2019. People in private rooms will put down the remaining $3300, and those in shared rooms will put down $3100. These trips involve a lot of planning, logistics, and up front costs. Because of this, we cannot guarantee refunds in event of a cancellation. Please be sure you can attend the event before booking. If an unforeseen circumstance does occur, we will do our best to find a replacement for you. If we are able to get someone to take your place, we will refund your full payment minus a service charge. We strongly urge you to purchase travel insurance in the event of a personal conflict, health issue, or unexpected circumstance.